This is the epitome of health. 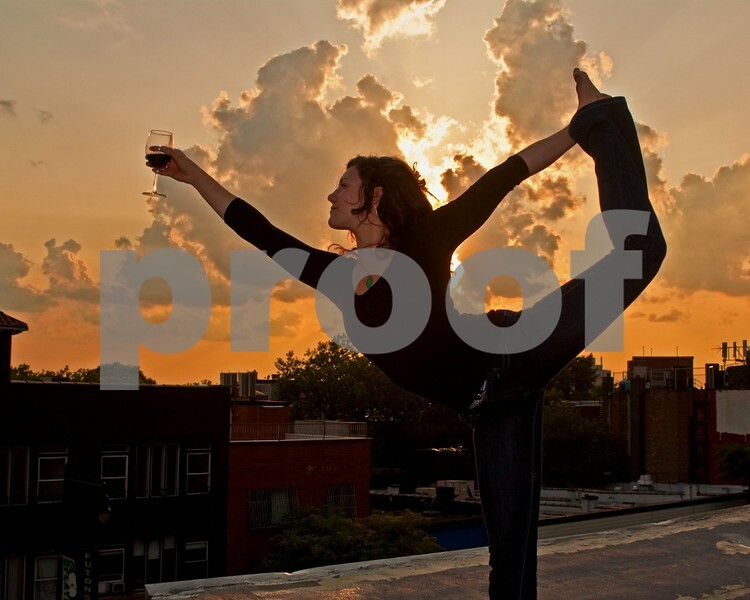 Stef demonstrates perfect balance with the sunset and malbec. The Brookyln rooftop really turned out to be a great shooting location. I'm new with a real flash, but I was able to dial everything correctly to capture this great image of Stef. As I usually say, it's easy to take pictures of beautiful people doing interesting things.